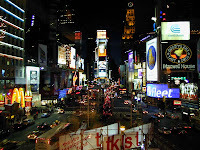 In New York City’s Times Square, tourists wander amidst theme restaurants and Broadway theaters, all under the glow of bright lights, electronic tickertapes, video advertisements and huge spot-lit billboards. Years past have seen globally-recognized brands plant their flags in the Times Square area in the form of flagship retail shops: Toys-R-Us opened a Times Square location to rival Fifth Avenue’s F.A.O. Schwartz (the U.S. equivalent of the U.K.’s Hamley’s, perhaps? ); chocolate and candy confectioner Hershey’s opened a child’s fantasy land filled with every imaginable treat created by Hershey’s; and after the success of the movie Forest Gump, a chain restaurant called Bubba Gump Shrimp Co. (licensed by Paramount Pictures) appeared very near to the New York City outpost of Hard Rock Café. 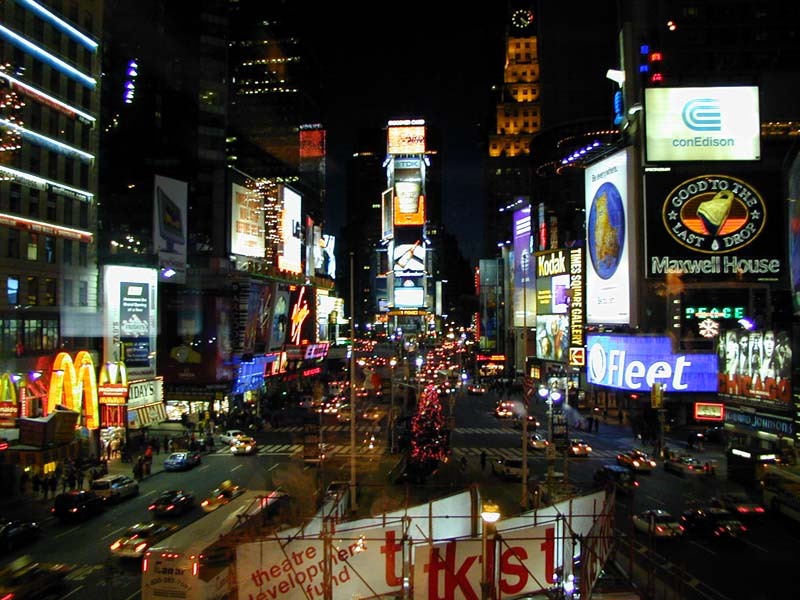 Major brands view Times Square both as a marketing tool and a retail opportunity to connect with consumers. Take, for example, Charmin brand toilet paper. During the 2006 holiday season, Charmin launched the toilet equivalent of a “pop-up-shop” right in the middle of Times Square: temporary mens’ and womens’ restrooms stocked with Charmin brand toilet paper. According to its website, nearly 400,000 people stopped in to use the facilities during a single season. That means that almost 400,000 people experienced the Charmin brand first-hand during just a few weeks of the year. With real estate in Times Square being offered at a high premium price, brands must view their presence here as part advertising and marketing campaign and part retail sales operation in order to justify the costs. And the brands keep coming. The New York Times reported yesterday that breakfast food brand Pop Tarts, a Kellogg Company brand, is joining the Times Square fray in an effort to reconnect with consumers in a way it never has before. The retail space will feature a café selling newly invented treats incorporating, of course, various flavors of Pop Tarts pastries. The café offerings will even include a curious item called Pop Tarts Sushi made from minced Pop Tarts that are rolled in a fruit roll-up (presumably not Kellogg competitor General Mills’s Fruit Roll-Ups brand version, which is fortunate, as General Mills has just been sued for false marketing relating to the nutrition information presented on Fruit Roll-Ups packaging). The question is, can a brand that has been in decline amidst growing concerns about children’s nutritional problems and obesity struggles rebuild its consumer trust through a retail space? Generally, when a brand opens a Times Square outlet, the brand owner has focused on presenting shoppers with the core values of the brand. The owner builds good will for the brand by exhibiting the brand’s most trusted values, even if also opting to create new methods of connecting with customers within the store (for example, the whimsical Ferris wheel ride at the center of the Toys-R-Us store). 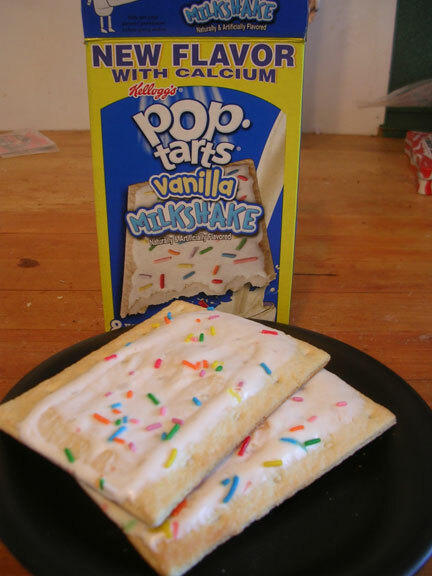 Pop Tarts has, since its inception, always been marketed as a breakfast item. Whether toasted at home or eaten cold out of the package on-the-go, it is meant to be a breakfast food and was created as such. However, given the menu offerings at the new Pop Tarts Times Square café, as described in the New York Times’ article, it seems to me that Pop Tarts may come across to consumers as more of a sweet snack or a dessert than a breakfast staple food. This is especially likely considering that many passersby are likely to be foreign tourists who may be unfamiliar with the iconic American breakfast brand. Is this the beginning of a new future for Pop Tarts? This is an interesting article Miri, not sure about sushi pop tarts. To answer your question I think that yes, a brand can re-capture its audiences imagination. Take McDonalds for example - they regularly get grief about nutrition but with their positive marketing and adverts containing fruit - they get a better image.